The amyotrophic lateral sclerosis gene TDP-43 wreaks havoc in neurons by shutting down translation, according to a paper in the December 15 Nature Genetics online. Led by senior author Nancy Bonini of the University of Pennsylvania in Philadelphia, researchers describe how TDP-43 indirectly inactivates a key initiator of mRNA translation. Turning that factor back on rescues flies and rat neuron cultures that overexpress TDP-43, the authors found. Other scientists recently discovered that the same approach helps animal models of prion infection and Alzheimer’s, suggesting that boosting translation might be a strategy for neuroprotection. Bonini’s group was following up on a screen to find proteins that bind TDP-43. Aaron Gitler’s group at Stanford University, Palo Alto, California, had crossed yeast overexpressing human TDP-43 with a library of strains overexpressing 5,500 other genes (see Apr 2008 news story). They identified 40 that enhanced or suppressed TDP-43 toxicity. Several were components of stress granules or P-bodies, cellular structures in which RNAs are sequestered or degraded. Previously, Gitler, Bonini, and colleagues had reported on one such hit, the yeast homolog of human ataxin-2, which also increases risk of ALS (see Aug 2010 news story). In the current work, the researchers collaborated to use the program GeneMANIA (Zuberi et al., 2013) to examine the 10 hits that were RNA-binding proteins. The software uses proteomics and genomics data to find other proteins that have similar function or operate in similar biological pathways. Among the returns was the yeast homolog of eukaryotic initiation factor 2a. Eukaryotic initiation factor 2a starts translation, but if it undergoes phosphorylation—during the formation of stress granules, for instance—it blocks the process. To examine eIF2a in the flies, first author Hyung-Jun Kim—formerly in Bonini’s lab but now at the Korea Brain Research Institute in Daegu, South Korea—extracted protein from the insects’ heads and measured its phosphorylation status with immunoblotting. Within a week of turning on TDP-43 expression, eIF2a phosphorylation rose in the flies, suggesting that stress granules form around the same time that translation is being suppressed. The pathway between TDP-43 and eIF2a remains unclear, but nevertheless, the scientists reasoned that preventing eIF2a phosphorylation might block stress granule formation. They decided to target protein kinase RNA-like endoplasmic reticulum kinase (PERK), which adds the phosphate group that turns off eIF2a. Conveniently, the pharmaceutical company GlaxoSmithKline had developed a specific PERK inhibitor, GSK2606414, which readily reaches the brain when given by mouth (Axten et al., 2012). Kim and colleagues fed GSK2606414 to the TDP-43 flies and tested their ability to scale the walls of the glass vials in which they are kept. This is a common functional assay in fruit flies. While normally only 18 percent of 12-day-old TDP-43 flies manage to climb the walls, 42 percent did so after treatment. To confirm these results in mammalian cells, the researchers turned to an assay developed by co-author Steven Finkbeiner of the Gladstone Institute of Neurological Disease in San Francisco (Arrasate and Finkbeiner, 2005). Eva LaDow in that laboratory used automated microscopy to track the death rate over the course of a week in rat primary cortical neurons overexpressing TDP-43. These cells start to wither within a day (see Jan 2010 news story) but GSK2606414 treatment reduced their risk of death by 14 percent. Daryl Bosco of the University of Massachusetts Medical School in Worcester found the genetic data compelling, though she also noted, “The authors put a lot of focus on stress granules, but they never actually show that they form in flies.” While the authors labeled stress granules in yeast via a fluorescently tagged marker gene, Bonini said they were unable to observe stress granules directly in flies because there are no good antibodies or reagents to label them. Better reagents are needed, she added. Technical gaps notwithstanding, the results point to a situation in which toxic TDP-43 may shut off translation to damage neurons. It appears that eIF2a phosphorylation is widespread in neurodegeneration. Researchers recently showed that GSK2606414 alleviated the effects of prion infection in mice, as well (see Oct 2013 news story). 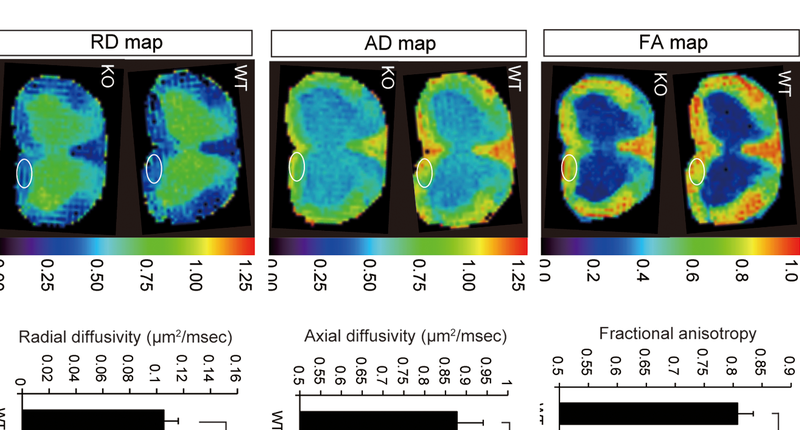 In both people with Alzheimer’s and AD model mice, eIF2a phosphorylation levels are abnormally high, and deleting PERK preserved spatial memory in the mice (see Aug 2013 news story). “It speaks to this [eIF2a] pathway as a sort of central hub in neurodegenerative disorders,” commented Giovanna Mallucci of the Medical Research Council Toxicology Unit in Leicester, U.K., an author of the prion study. Cellular stresses of various types could lead to the deactivation of eIF2a and formation of translation-silencing stress granules, which in the short term provides benefit but could be detrimental when chronic, researchers have proposed (Wolozin, 2012). The drug GSK2606414 is not the solution to the problem, however. It is too toxic, as PERK occurs throughout the body and all cells need eIF2a for translation. In the prion study, the treated mice lost so much weight that the researchers had to euthanize them. “My gut feeling is there are going to be too many off-target effects,” Bosco said. Perhaps researchers could find a more specific therapeutic target downstream from eIF2a, she suggested. Gene Yeo of the University of California in San Diego suggested that scientists might be able to modify GSK2606414 to deliver it more specifically to neurons. Bonini speculated that the treatment might not have to totally block PERK to rescue neurons, so a low dose could be effective and safe. GSK2606414 is not being actively developed for any disease indication at present.